THE MOST COMMON PROVIDERS of debt financing include banks, savings and loans, and commercial finance companies (hereinafter referred to collectively as banks). These providers tend to be more conservative than equity investors because they are loaning depositor's money. Nevertheless, they are in the business of lending money and constantly looking for opportunities that meet their criteria to make loans. THE BUSINESS PLAN IS YOUR RESUME when applying for a bank loan. It says something about who you are, what you plan to do, and how you plan to do it. 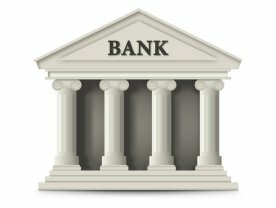 It is important that your business plan be sufficiently convincing to place you on the potential list making possible the next step, that of presenting your plan in person where you have the opportunity to convince the lender to move your application from the potential list to the approve list. SBA LOANS come in a variety of flavors. It is important to do your research to determine which flavor is applicable to your needs. 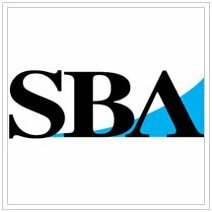 THE SBA LOAN PROGRAM is authorized by the Code of Federal Regulation, Title 13 (Business Credit and Assistance), Chapter I (Small Business Administration), Part 120 (Business Loans). (iii) A guaranteed loan (deferred participation) by which SBA guarantees a portion of a loan made by a Lender." SECTION 120.151 DESCRIBES THE STATUTORY LIMITS for total loans to a single borrower as follows: "The aggregate amount of the SBA portions of all loans to a single Borrower, including the Borrower's affiliates as defined in Sec. 121.103 of this chapter, must not exceed a guaranty amount of $1,000,000, except as otherwise authorized by statute for a specific program. The maximum loan amount for any one 7(a) loan is $2,000,000." SECTION 120.191 (THE CONTENTS OF A BUSINESS LOAN APPLICATION) states, "For most business loans, SBA requires that an application for a business loan contain, among other things, .....a business plan." YOUR BUSINESS PLAN must pass this scrutiny for loan approval. The Business Plan Store will prepare your business plan to to put your business in the best possible light to meet this challenge.